In this project, the involved organizations from Croatia, Macedonia and Austria will be setting in motion coextensively the real space travels and online connections from the “Center of Europe – Centrum Mundi – Ludbreg’’ to the different places all across the Europe. Those movements will be recorded and then transformed into custom-made application for online viewing. 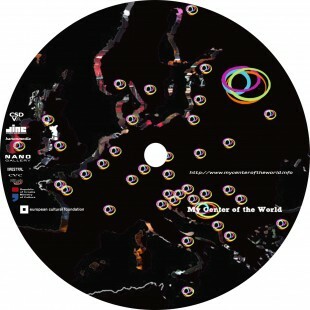 The project has an aim to form new connections between artists and cultural organizations from participating European places and document new urban diversity. The inspiration for this project, the place Ludbreg is small, in wider public not so well known place in Croatia, and yet it is one of the oldest settlements in Croatia. According to ancient legend from the Roman times, it was in Ludbreg that the circles of the Earth were thought up and drawn. All the larger metropolises are found on the circumferences of the circles, and it is in Ludbreg that the four elements – earth, water, fire and air – meet. In Croatia it is known as The Centre of the World.